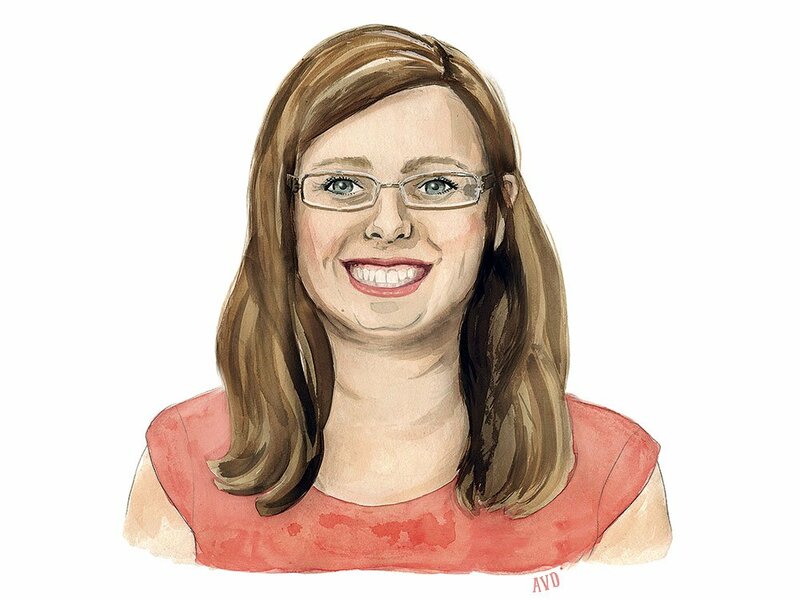 I discussed a variety topics concerning the royal family including the royal wedding, popular attitudes toward the monarchy in Canada, and The Crown series on Netflix with Courtney Shea at Reader’s Digest Canada. NBC Interview: ‘The Crown’: Did Jackie Kennedy really badmouth the Queen? I discussed the portrayal of Queen Elizabeth II, Jacqueline Kennedy and the Commonwealth in the Crown on Netflix with Daniel Arkin at NBC News. Episode 8 of Season 2 of The Crown “Dear Mrs. Kennedy” employs a story structure that appears frequently over the course of the series: dramatizing two historical events and creating a fictional connection between them. 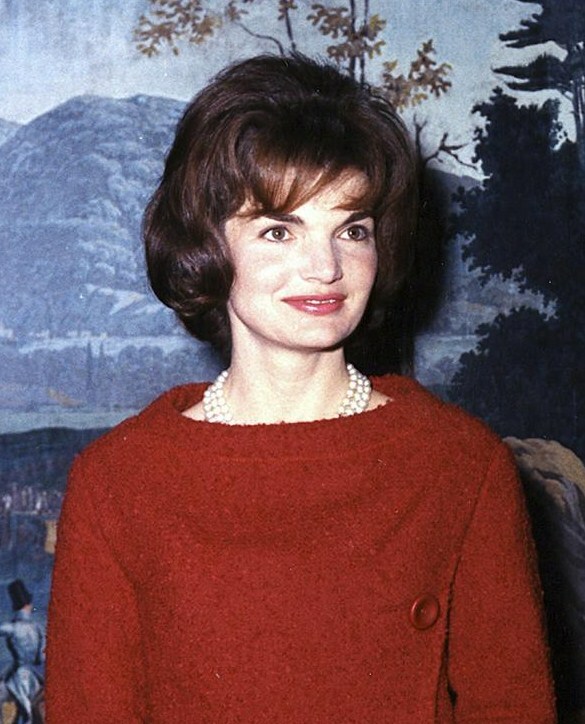 In the case of “Dear Mrs. Kennedy,” the Crown portrays two events from 1961: John and Jacqueline Kennedy visiting Buckingham Palace (including reports that Jacqueline Kennedy was critical of both the palace and the queen) and the Queen’s visit to Ghana and creates a direct connection between them. I discussed fact and fiction in The Crown on Netflix with NBC News. NBC Interview: ‘The Crown’: Was Princess Margaret’s life really full of scandal? I discussed the portrayal of Princess Margaret in the Netflix series “The Crown” with Daniel Arkin at NBC News. 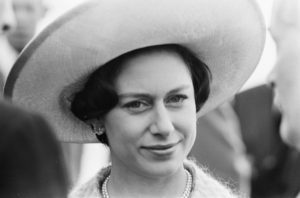 As I mention in the interview, The Crown focuses closely on Princess Margaret’s personal life with Season 1 examining her doomed relationship with the divorced Group Captain Peter Townsend and Season 2 ending with her marriage to society photographer, Antony Armstrong-Jones. The emphasis on Margaret’s relationships with Townsend and Armstrong-Jones as well as her struggle to establish an independent identity within the royal family obscures some of the Princess’s other interests such as art and the theatre. The Crown, like other works of historical fiction, emphasizes certain events and personality traits of public figures and obscures other aspects of their lives. 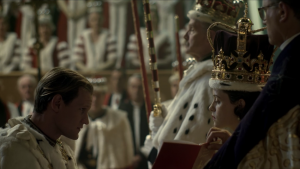 In Season 1 of The Netflix series, The Crown, Queen Elizabeth II succeeds to the throne in 1952, at the age of 25, and there are flashbacks and discussions of the challenges of her father’s reign: The Abdication Crisis of 1936 which brought George VI to the throne and the Second World War. In Season 2, the series explores Prince Philip’s childhood, dramatizing his family and education. In Season 2, Episode 2, a fictional Australian journalist asks him about his family’s exile from Greece, his mother’s nervous breakdown, his father’s abandonment of the family and his sisters’ connections to the Nazi party, prompting Philip to end the interview abruptly. In Season 2 Episode 9, a remarkably well informed classmate at the Gordonstoun boarding school in Scotland bullies Philip about his family, stating most of the same details as the Australian journalist. Episode 9 also features flashbacks showing the death of Philip’s sister Cecile in a plane crash en route to a family wedding (there is no evidence that Philip’s father blamed him for this family tragedy as dramatized in the series) and the emotional support provided by Philip’s maternal uncle, Lord Mountbatten. One of the most prominent figures in Prince Philip’s childhood was his maternal grandmother, Princess Victoria of Battenberg the Marchioness of Milford Haven. 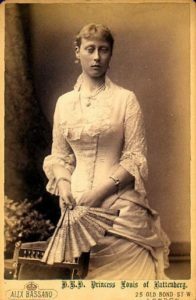 Victoria was a granddaughter of Queen Victoria and was born at Windsor Castle (as was her eldest child, Prince Philip’s mother, Alice of Battenberg in 1885). While Philip was at school at Gordonstoun, Victoria’s apartments at Kensington Palace (dubbed “the aunt hill” by King Edward VIII because of the number of older members of the royal family who lived there), acted as a home for Philip, where he sometimes spent school holidays and kept his possessions. Victoria was a friend of Queen Elizabeth II’s grandmother, Queen Mary and both women became godmothers to their great-grandson Prince Charles in 1948. The best known of Philip’s maternal uncles is Lord Louis Mountbatten, who also enjoyed a close relationship with Prince Charles, making him an ideal figure of continuity in The Crown series. 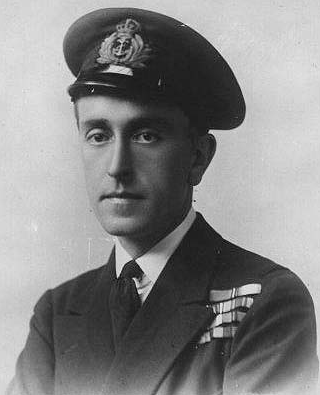 During Philip’s childhood, however, another maternal uncle, George Mountbatten, 2nd Marquess of Milford Haven, also took an interest in Philip’s upbringing. George was a naval officer and mathematician with a strong interest in science and technology, which likely influenced Philip’s own intellectual curiosity. In Season 2 of The Crown, Philip demonstrates his own scientific interests by giving the Queen a detailed description of the workings of Suez Canal over dinner. George’s son, David Mountbatten was Prince Philip’s best man at his wedding, not Mike Parker, as shown in Season 1 of The Crown. 3&4–Patricia (1924-2017) and Pamela Mountbatten (1929-) Lord Louis Mountbatten and his wife Edwina have a brief scene together in Season 2 of The Crown but their daughters, Patricia and Pamela do not appear onscreen. They were childhood friends of both Philip and Elizabeth and frequently appear in documentaries about the royal family. Patricia belonged to the palace girl guide troop where Elizabeth was a guide and Princess Margaret was a brownie. Pamela was a bridesmaid at Elizabeth and Philip’s wedding and accompanied the royal couple on Commonwealth tours in the 1950s as a lady-in-waiting. Pamela’s memoir, Daughter of Empire, provides a behind-the-scenes perspective on the overseas tours took place in Season 1 of the The Crown. 5 –King Michael of Romania (1921-2017) In Episode 10, Prince Philip’s cousin, Princess Marina of Greece, Duchess of Kent (the widow of Queen Elizabeth II’s uncle, the Duke of Kent) makes a brief appearance to complain about the noisy renovations to Princess Margaret’s apartment in Kensington Palace. 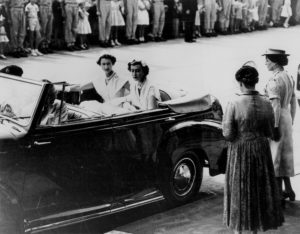 Marina’s wedding is probably where the Queen and Prince Philip first met, before the famous 1939 tour of the Dartmouth Naval College. 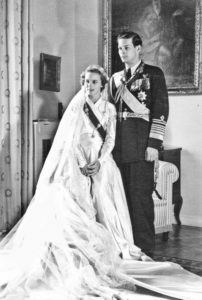 Aside from the Duchess of Kent, Philip vast extended family from Greece and Denmark, which connected him to Europe’s other royal houses, is missing from the series. One of Philip’s cousins and childhood friends was King Michael of Romania (the son of Princess Helen of Greece and Denmark). Philip and Michael played together as children and Philip spent part of his Christmas holiday with Michael in 1936. Michael met his future wife Anne of Bourbon-Parma, who had been one of Philip’s kindergarten classmates, at Philip and Elizabeth’s wedding in 1947. Photos of Philip and Michael as children together are available to view on Marlene Koenig’s Royal Musings website. Patricia Treble also discusses the portrayal of Prince Philip in The Crown on her Write Royalty website. 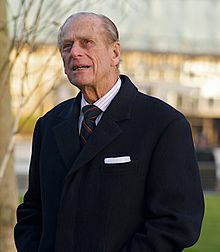 Before the announcement that Prince Philip would be retiring from public life at the end of the summer, there was widespread speculation on social media that Buckingham Palace would be announcing his death on the morning of May 4 as members of the royal household gathered for an “eleventh hour” meeting. 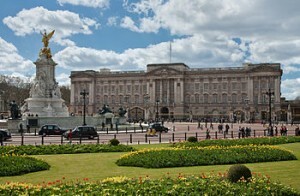 There were also more optimistic theories including the idea that forthcoming renovations to Buckingham Palace would prompt an announcement that the Queen and Prince Philip were moving to Windsor Castle or Balmoral for an extended period of time. In an interview with University of Toronto news, I discuss the timeless fascination with events behind palace doors and how the internet has accelerated the spread of royal rumors. My 3rd book, Raising Royalty: 1000 Years of Royal Parenting, has been published by Dundurn Press in Canada. (The USA and UK release date is May 2). How royal parents dealt with raising their children over the past thousand years, from keeping Vikings at bay to fending off paparazzi. William and Kate, the Duke and Duchess of Cambridge, are setting trends for millions of parents around the world. The upbringing of their children, Prince George and Princess Charlotte, is the focus of intense popular scrutiny. Royalty have always raised their children in the public eye and attracted praise or criticism according to parenting standards of their day. Royal parents have faced unique challenges and held unique privileges. In medieval times, raising an heir often meant raising a rival, and monarchs sometimes faced their grown children on the battlefield. Conversely, kings and queens who lost their thrones in wars or popular revolutions often found solace in time spent with their children. In modern times, royal duties and overseas tours have often separated young princes and princesses from their parents, a circumstance that is slowly changing with the current generation of royalty. My article in Quartz discusses how women in power are portrayed on two hit TV shows: The Crown on Netflix and Victoria on PBS. Both Queen Elizabeth II in The Crown and Queen Victoria in Victoria appear as young women who are mentored or challenged by the men who surround them and experience frequent moments of self doubt. In fact, both queens had been trained for their future roles since childhood and were confident queens who were both extremely popular when they first succeeded to the throne. The portrayals of Elizabeth II and Victoria on TV today reflect current anxieties about women in power. 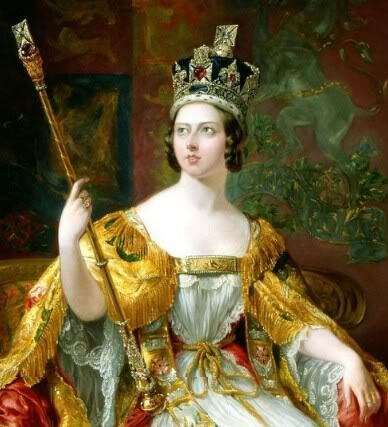 Portrait of the nineteen year old Queen Victoria on her coronation day in 1838. My thoughts about Queen Victoria and her opposition to women’s suffrage have been quoted in the New York Post as part of a list of facts about the famous Queen, who is currently being portrayed by Jenna Coleman in the Victoria TV series on PBS. The quotes are an excerpt from a longer interview with the University of Alberta Faculty of Law blog about Queen Victoria, her family and women’s rights. Click here to read Thank queen of ‘Victoria’ for this Oval Office centerpiece in the New York Post. 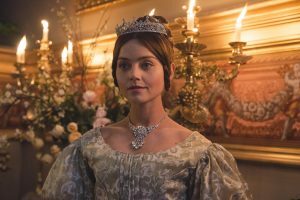 The ITV series Victoria premieres on PBS on January 15 at 9pm ET. My interview with CBC.ca discusses Queen Victoria, the Netflix series The Crown and why the Stuart queens Mary II and Anne would be ideal candidates for a dramatic treatment of this kind. My forthcoming book, Raising Royalty: 1000 Years of Royal Parenting includes a chapter about Queen Victoria and Prince Albert and how they parented their nine children. 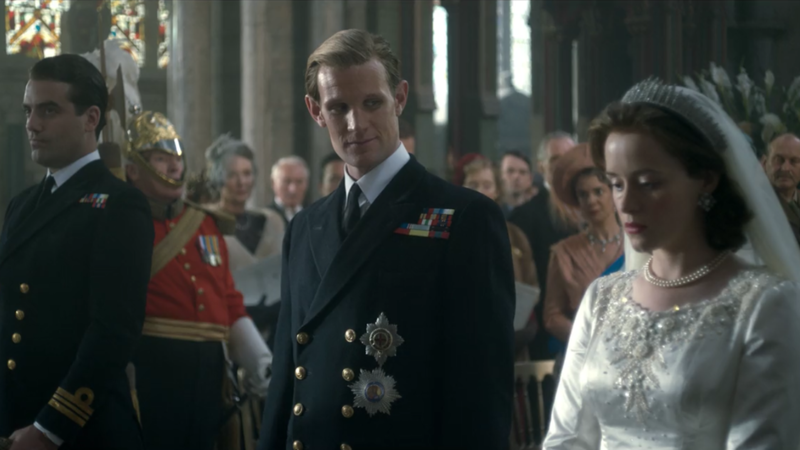 Prince Philip, Duke of Edinburgh kneeling before his wife, the Queen at her coronation in 1953 as portrayed by Claire Foy and Matt Smith in The Crown on Netflix. In the past few weeks, I have had a couple more interviews published about the portrayal of the young Queen Elizabeth II in season 1 of “The Crown” on Netflix. I discussed the Queen’s image with Elizabeth Renzetti at the Globe and Mail. In addition to “The Crown,” Queen Elizabeth II has been the subject of numerous works of fiction from novels such as Mrs Queen Takes the Train and The Uncommon Reader to films such as The Queen and Royal Night Out and plays such as The Audience . One of the reasons why Elizabeth II appeals to novelists, screenwriters and playwrights is that her appearance and demeanor is known to the world but as an impartial constitutional monarch, she is expected to remain above politics. Fictional portrayals of the Queen are opportunities to speculate about what she is really thinking when performs public engagements or meets with her Prime Ministers. One of the key themes in “The Crown” is conflict between the young Queen Elizabeth II’s position as sovereign and the prevailing gender roles in Britain in the 1950s. I discussed how “‘The Crown’ is a low-key guide to outfoxing the men in your way” with Rachel Thompson of Masahable.com. Although women over 30 had been able to vote in Britain since 1918 and all adult women received the franchise in 1928, there were few female members of parliament in the 1950s and a female Prime Minister would not be elected anywhere in the world until Sirimavo Bandaranaike became Head of Government in Ceylon (Sri Lanka) in 1960. In “The Crown,” the Queen has to negotiate a role for her husband Prince Philip, Duke of Edinburgh and insist that her first Prime Minister, Winston Churchill, treat her according to her position as sovereign rather than her age and gender. She also reflects on her education, which included a thorough grounding in the constitution from the Provost of Eton College but paid little attention to subjects considered unimportant for women of her social background at the time such as mathematics or science. Season 2 of the Crown is expected to be released in November 2017. Click here to read “Despite attempts to decipher her, Queen Elizabeth II remains a mystery” in the Globe and Mail.